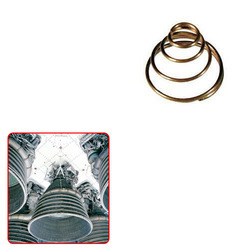 Leading Manufacturer of conical spring for aerospace industry from New Delhi. We are the bulk suppliers of cone shaped Conical Spring for Aerospace Industry that are made from high grade metals. Made from high grade steel, these springs perform well in different environments.